Let us get straight to the point, Who is Watson and What is Watson? Well, Watson is an artificial intelligence supercomputer which can answer the queries raised in regular dialect (natural human language), created in IBM's DeepQA venture by a team led by principal investigator David Ferrucci. Watson was named after IBM's first CEO and industrialist Thomas J. Watson. The overall system was particularly created to answer questions on the famous show Jeopardy! In 2011, Watson contended on Jeopardy! against previous victors Brad Rutter and Ken Jennings and eventually Watson won the final and bagged in a prize money of $1 million. The objective is to have a computer system or network of systems, begin to associate in regular human terms over a scope of utilizations and procedures, understanding the inquiries that people ask and giving answers that people can comprehend and legitimize. The supercomputer computes at a rate of 80 teraflops (trillion floating point operations for each second). To recreate (or surpass) an advanced human's capacity to answer questions, Watson gets to 90 servers with a consolidated information store of more than 200 million pages of data, which it forms against six million logic rules. The gadget and its information are independent in a space that could accommodate 10 large refrigerators. We loaded Suicide Attack Data (1982 to 2015-May) of Chicago Project on Security and Terrorism (UChicago) into Watson Data Analytic Terminal. Once it's loaded into the terminal, the system generates "Starting Points" containing relations, whether they are syntactic subject-verb-object predicates or semantic relationships between entities. For example, in the question, "There are two countries witnessed two simultaneous suicide attacks on same date of the year” Watson can detect the relation between the two countries specified with "Attack Type" field and "Date of Attack" field. STEP 2 - TAB 2: Sliding through upper tabs as suggested by the exploration platform of the Watson. A generic query feeded into the system - "Number of killed in Pakistan and Iraq", we intentionally committed a typographical error by inserting a preposition in the query. A geospatial data get visualized through LAT (Latitude/Longitude) detection method and relational approach. The advantage of DeepQA methodology is to abuse numerous autonomously created answer-writing calculations. Then again, a large portion of these calculations are subject to their own particular frameworks. We discovered the most ideal approach to coordinate prior segments is not to compel them into a solitary, "common type system", but to have them outline the LAT to their own particular inward data types. 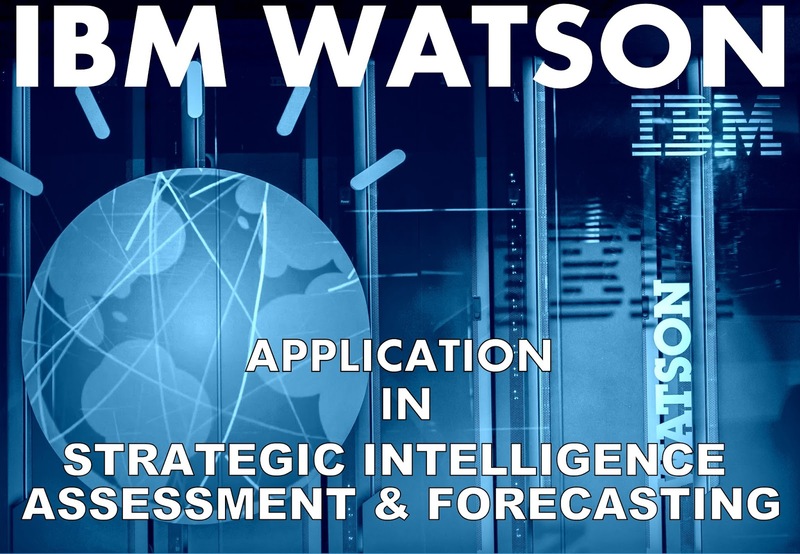 We most likely know how IBM's Watson secured a triumphant victory on Jeopardy Show as mentioned earlier. However, the supercomputer is more than only a component for IBM to freely disgrace brilliant individuals. It's seemingly the most "intense characteristic dialect" supercomputer on the planet, and being on an open beta platform, anyone who has common sense to input right kind of data, the system will crunch the number and give you the desired interpretation in a matter of seconds. In particular, IBM has opened the Watson Analytics platform for everyone. The analytic platform is intended to make 'Big Data' handling accessible to individuals without any statistics degree — in principle, anyone can have the capacity to toss in a dataset, and Watson will haul out the intriguing connections, prescient examinations and so forth, and present it all in a progression of infographics and chart. Rahul Guhathakurta is the Curator of IndraStra Global and can be reached at his Linkedin profile.